model above, was created with Moonlight Atelier 0.9.2 beta. 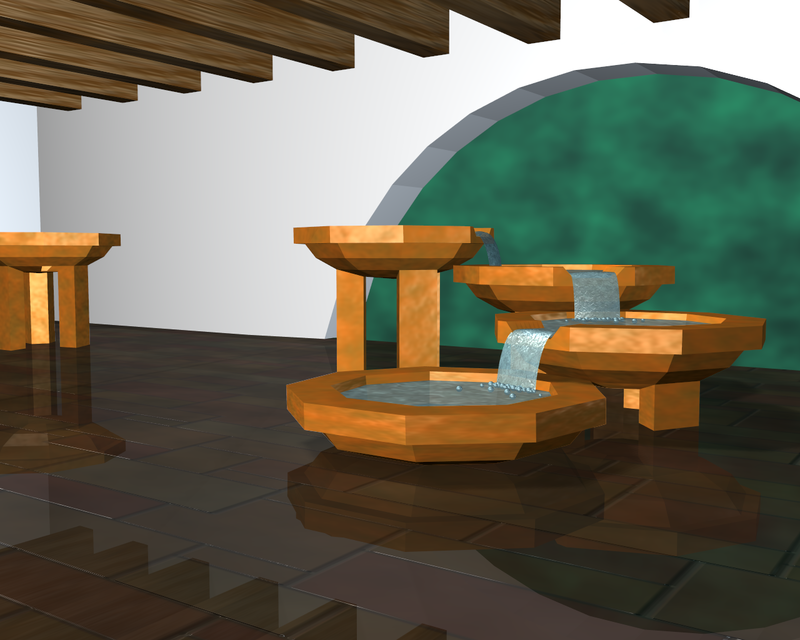 The program is a free 3D modeling and rendering studio, available for download from tucows.com among other sites. No longer in development, but has an active user community. original artwork, scripts and automata. In Firefox, right click an image to select View Image for large preview. 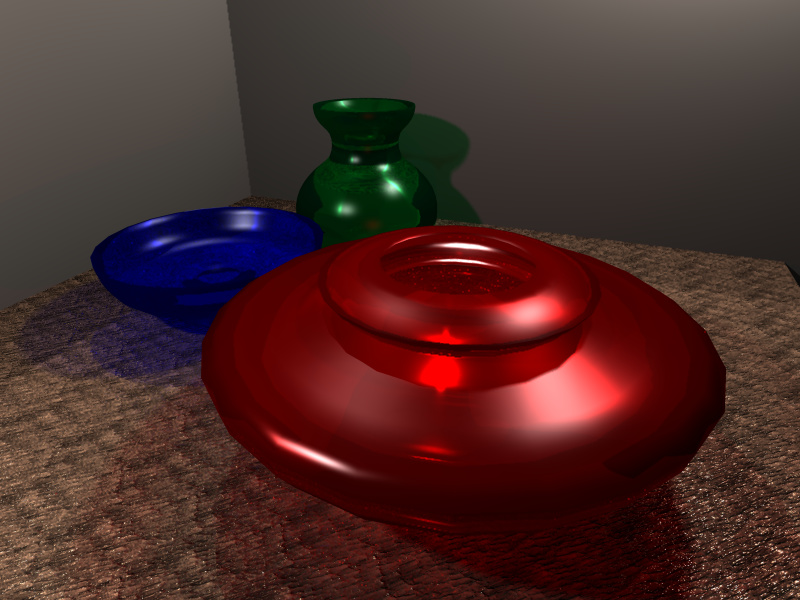 Images below produced by the POV-Ray raytracer from scene-description scripts. 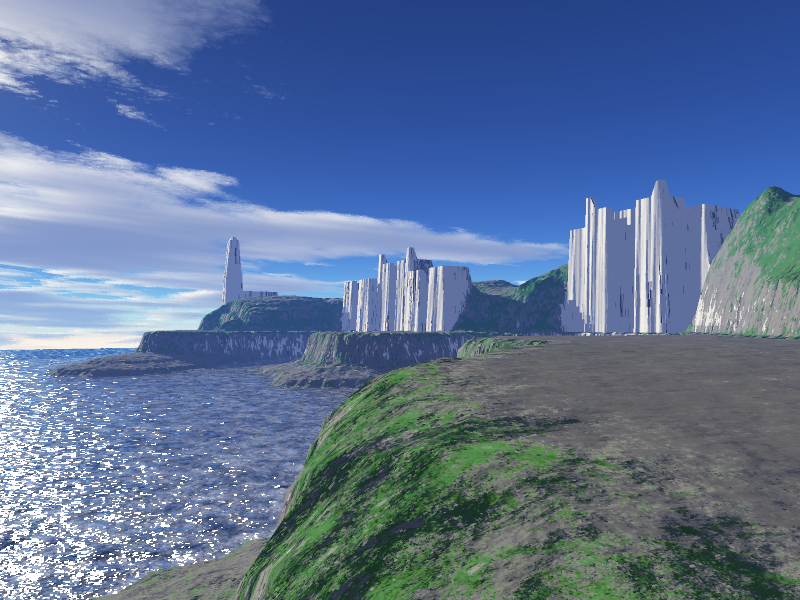 See povray.org. 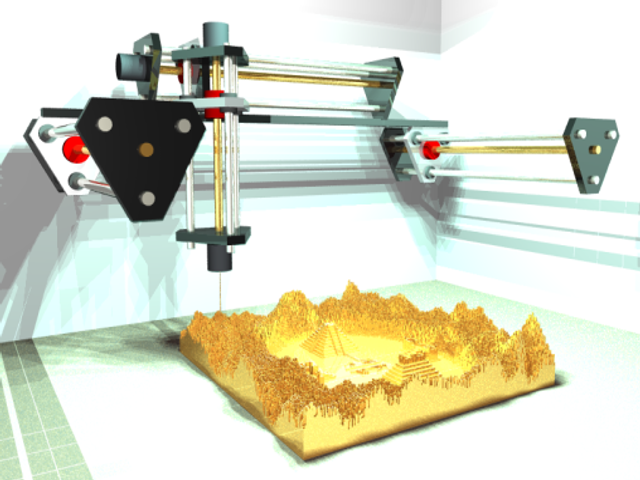 Machine tool simulation for Computer Numerical Control (CNC) study. This hierarchical model executes tool path sequences by driving to machining positions at XYZ coordinates of the cutting bit tip. 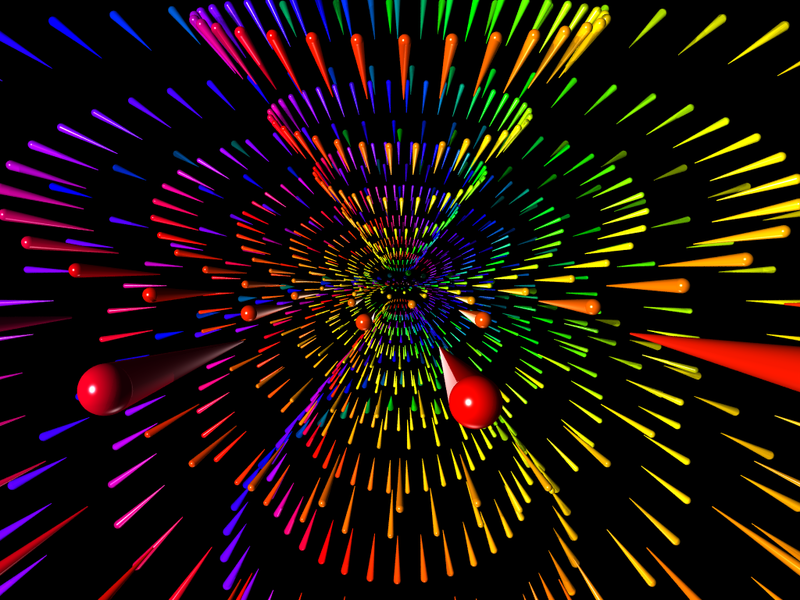 Any number of animation frames may be extracted from machining sequences. A partially assembled clock mechanism of gold roller drives with emerald inserts. 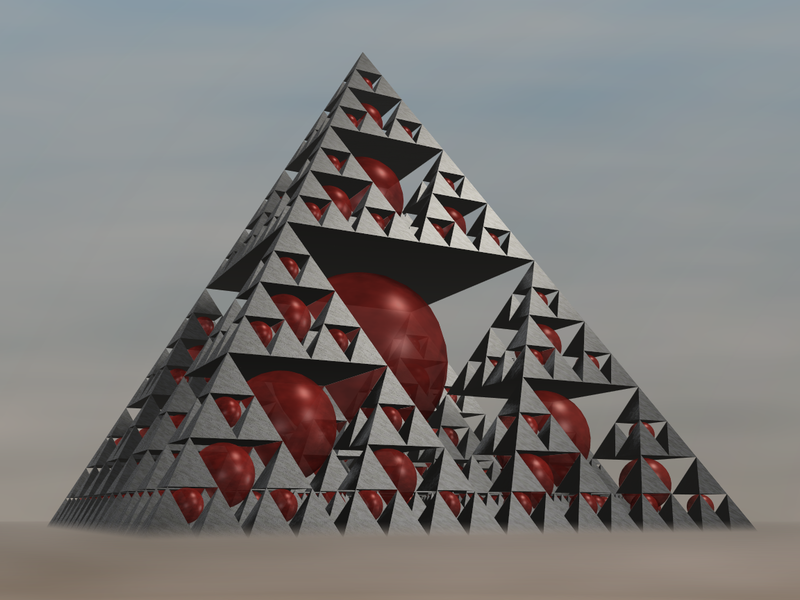 Whimsical virtual sculpture using booleans and Constructive Solid Geometry (CSG). The lost city. 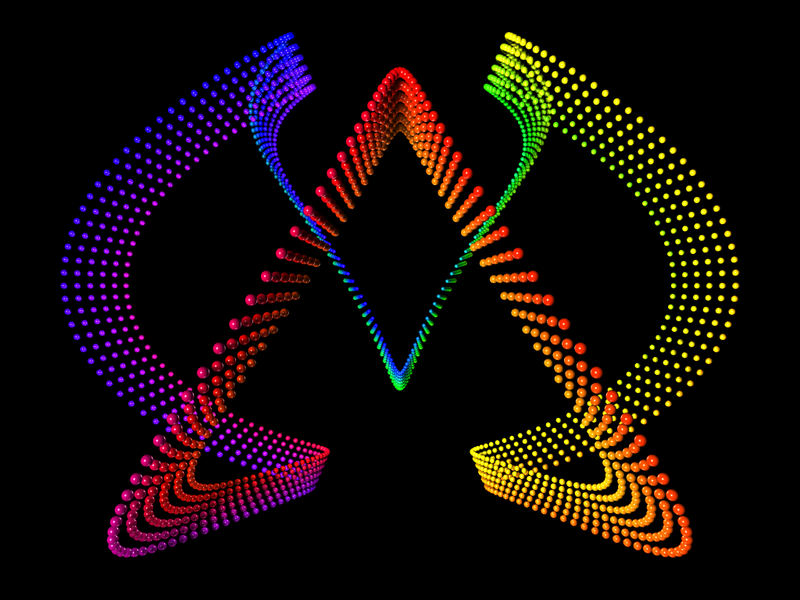 Made with GT for Genesis Toolkit and POV-Ray. 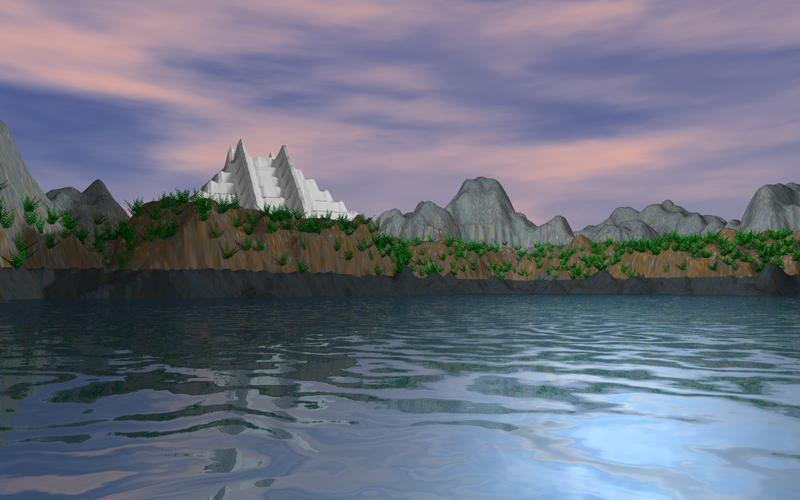 A heightfield terrain made natural with landscape object distribution control. 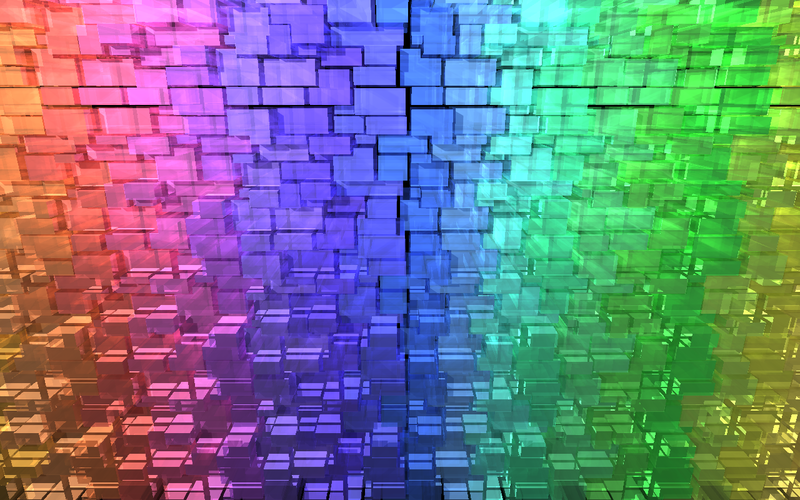 Seamless tiling array of prisms with position-indexed colors and displacement. 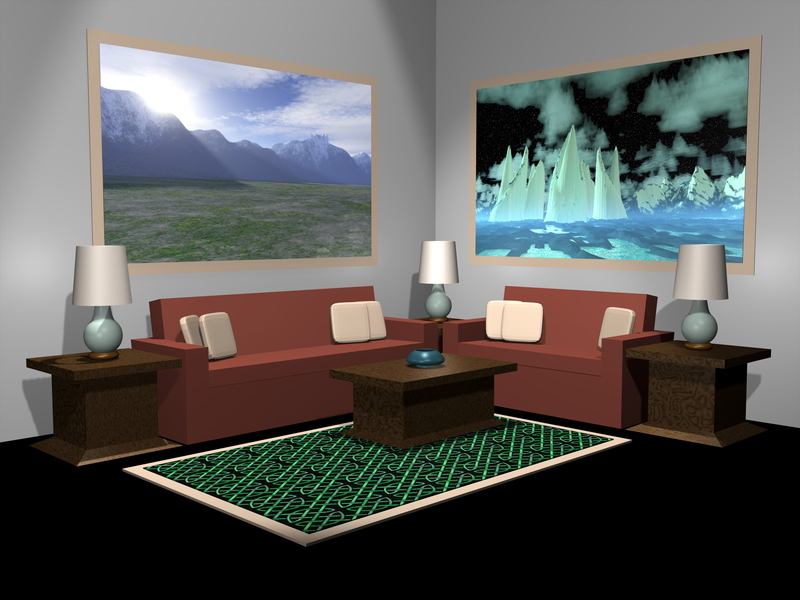 Terragen graphical controls created these scenes from PaintShop Pro and Soho black-and-white floorplans. See planetside.co.uk. Calm "sailors’ delight" day view. Converted shipping warehouses occupied by marine institute, old lighthouse used for observation and cafe. 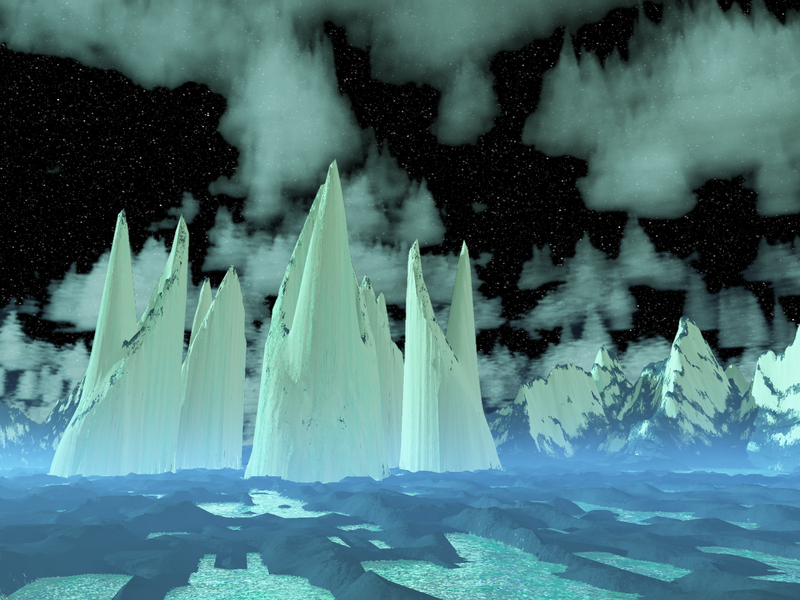 This stone engine modulates the resonances of a planet, and pulls it through space. 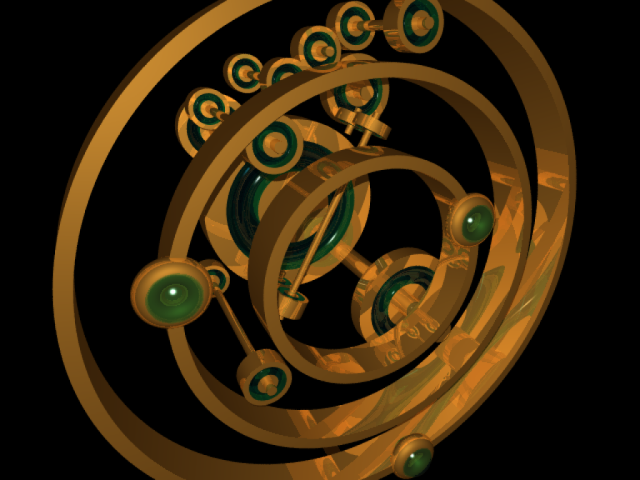 Its voices navigate by ringing the liquid core. Threads of gravity sing up through these aeolian wells as the planet gently falls. Twin hills. 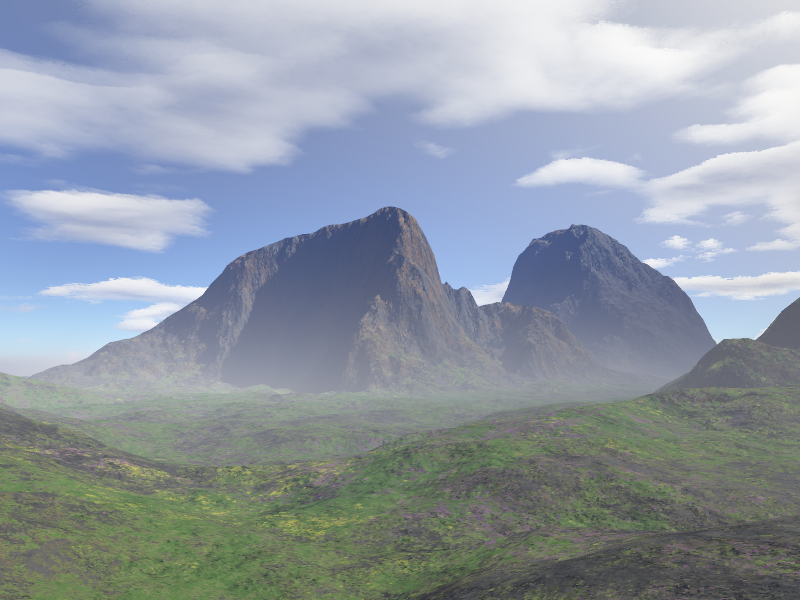 Entirely edited and rendered in Terragen. A complete modeling animation studio. Fast, powerful, free and extensible. More than just a sketchpad, way more. See blender.org. Based on the company’s own trademarked logo (not original). Study for a large bronze fountain sculpture. Custom shapes are regular mesh models with constrained dimensions. Deformation parent lattices shape the water. Subdivision and replication study for Python scripting. 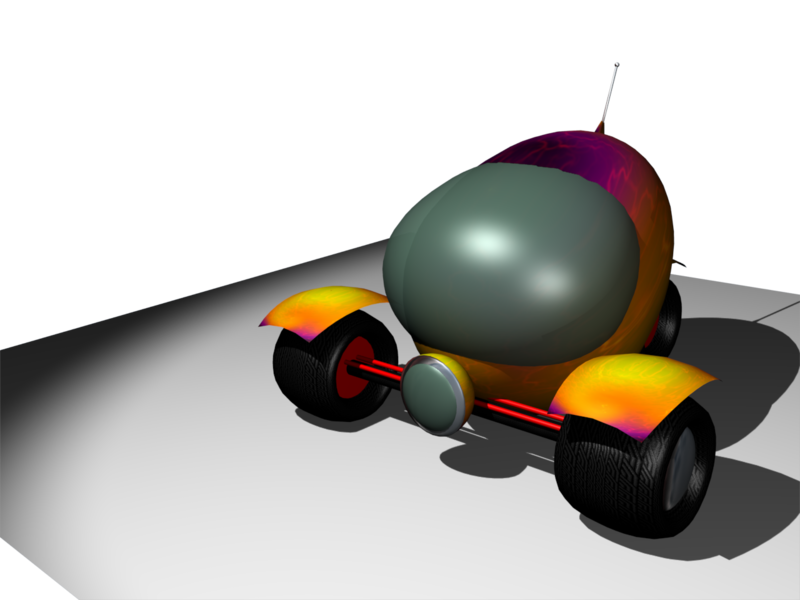 Sketch for a cartoon funny car. JASC PaintshopPro is easily accessible. PhotoShop is like GIMP, except GIMP is free open-source software. 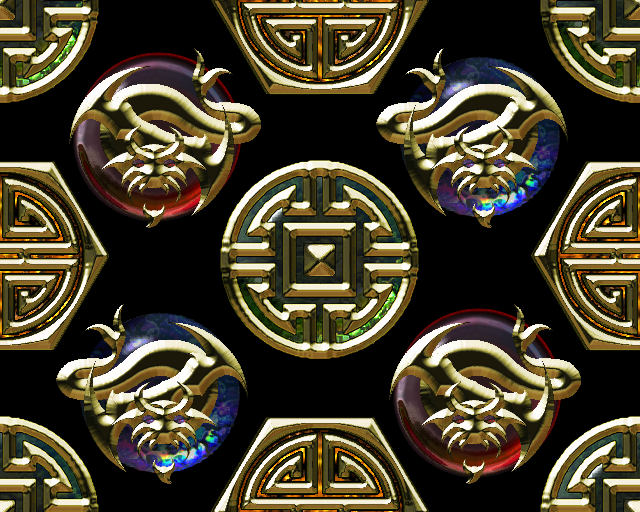 Seamless repeating tile, made with PaintShop Pro in several layers. Inspired by oriental bronze artwork. Seamless repeating tile, made with PaintShop Pro in several layers. 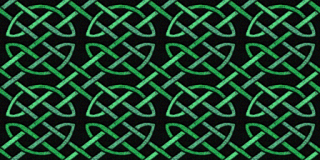 Made while reading Ian Bain on Celtic knotwork. 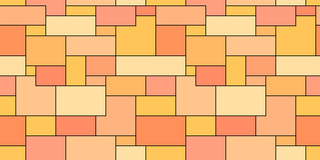 Seamless repeating tile, made with Xfig and GIMP in one layer.